A proposed new business on Roosevelt Island is likely to challenge Nisi, formerly known as Trellis, as well as Riverwalk Bar & Grill. Owner David Nasser is seeking a liquor license for 503 Main Street. The Street Life Committee of Manhattan Community Board 8 announced a hearing to consider an application for a wine and beer license for a new business at 503 Main Street. 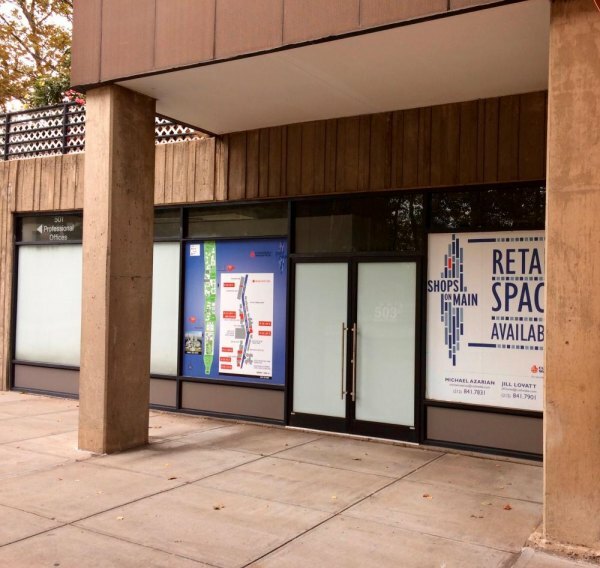 As yet unnamed and set to open next summer, according to Main Street's retail developer, it will "...will serve juices, smoothies, and light fare such as paninis, salads, and bakery items. CB 8's role is advisory. If the State Liquor Authority eventually approves a limited license, a wine bar will also offer beer and cider, but not liquors. David Nasser currently owns two successful new business on Roosevelt Island: Wholesome Factory and Island Wine & Spirits. The hearing is open to the public and will be held at 7:00 p.m. on October 13th, at Manhattan Marymount College, 221 East 71st Street. Retail development is a contracted responsibility of Hudson, a major New York City real estate company with substantial investments on Roosevelt Island. Sluggish development along the Main Street business corridor has spurred years long concerns among local residents. Hudson's contract with RIOC has been controversial with residents frustrated over the forced closure of some businesses as well as the slow pace of opening new operations. Unlike RIOC, Hudson cannot subsidize failing businesses with public money and must try to place vibrant enterprises in what has long been a troubled commercial row. The new restaurant could complicate matters by challenging Nisi, popular under its old name, Trellis, but closed for two years. In the interim, Main Street Sweets, 559 Main has gained a steady stream of casual food customers, and Riverwalk Bar & Grill has replaced Trellis as the adult meeting and eating place for the community. The public is invited to the Street Life Committee's hearing, and attendance my offer a glimpse of what may be in store for Main Street.